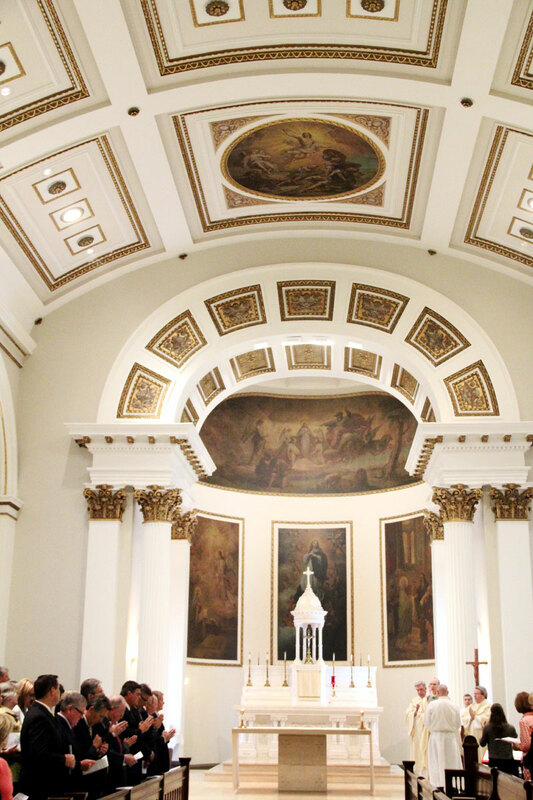 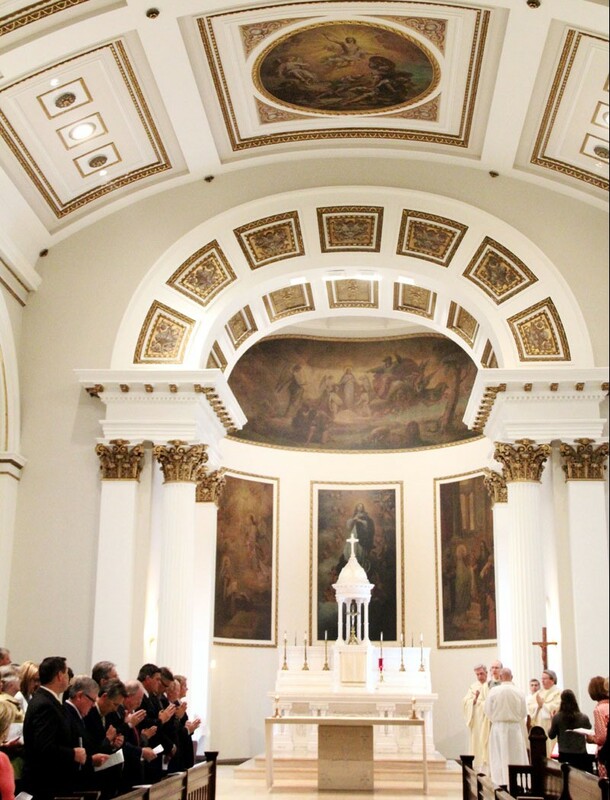 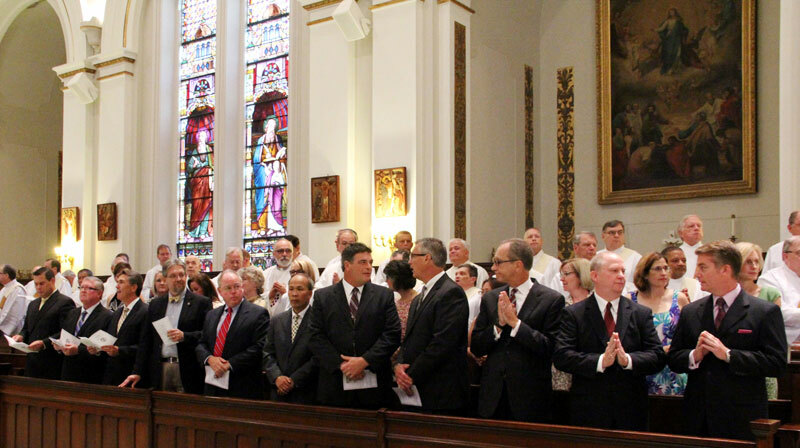 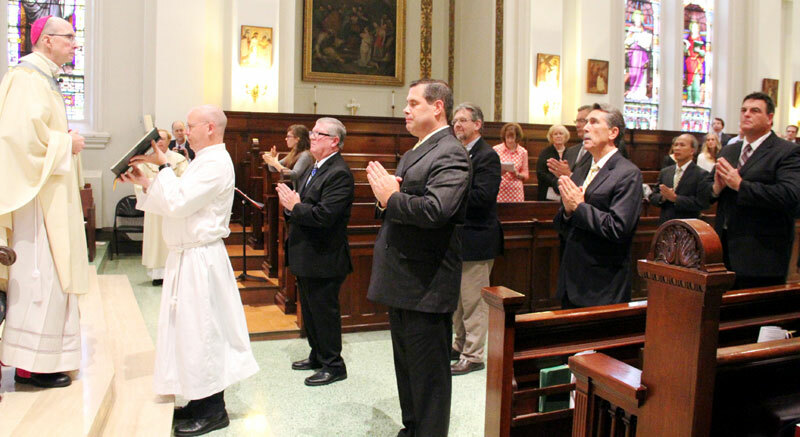 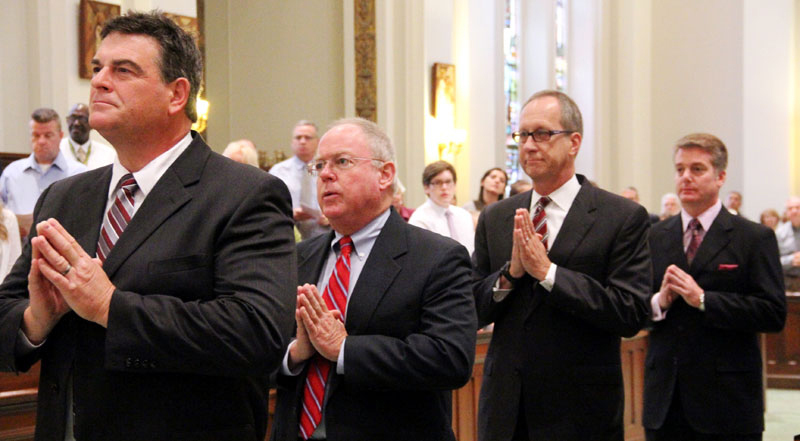 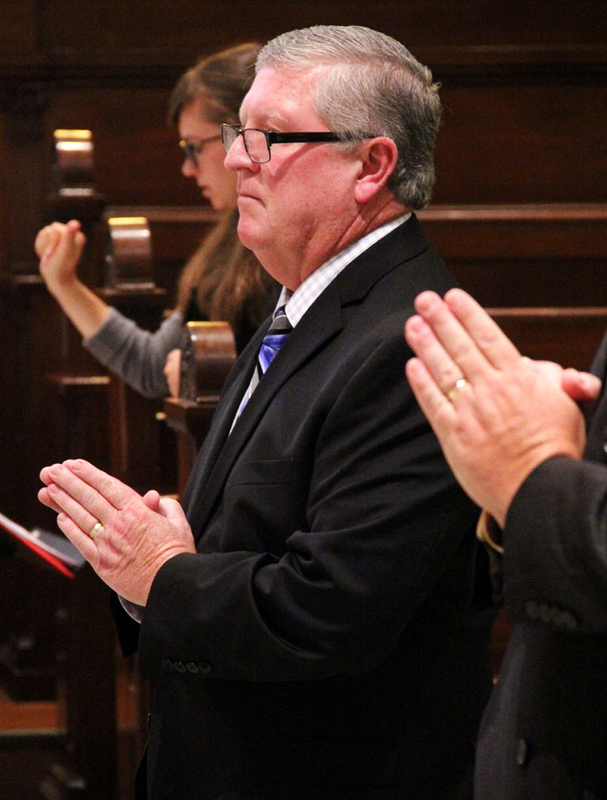 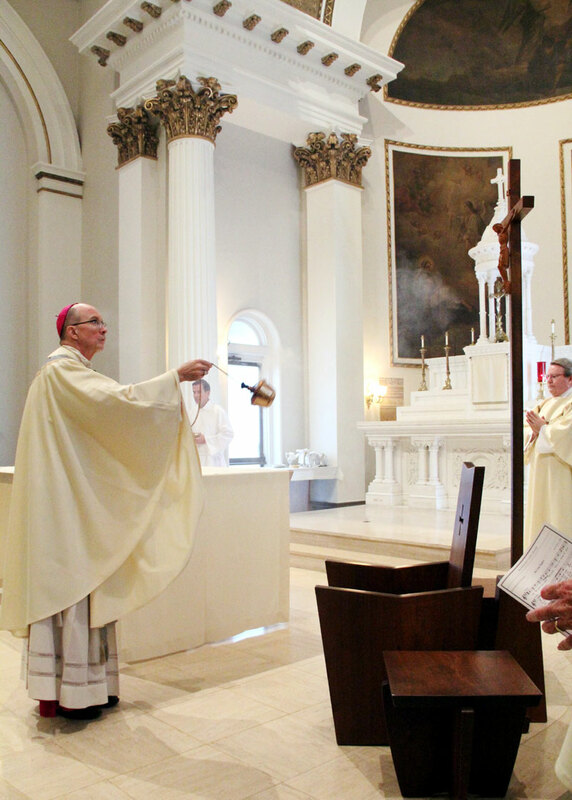 Eleven men of the Archdiocese of Philadelphia were formally were accepted as candidates in the permanent deacon formation program during a Mass Sept. 12 at St. Charles Borromeo Seminary. 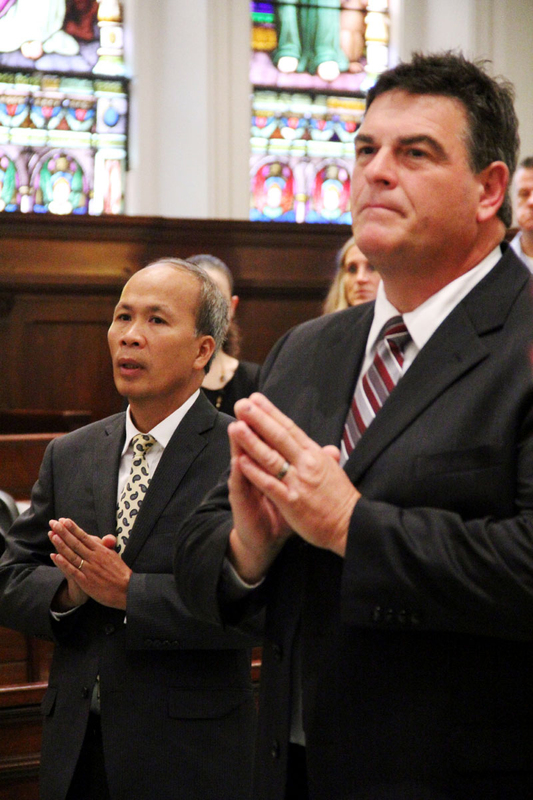 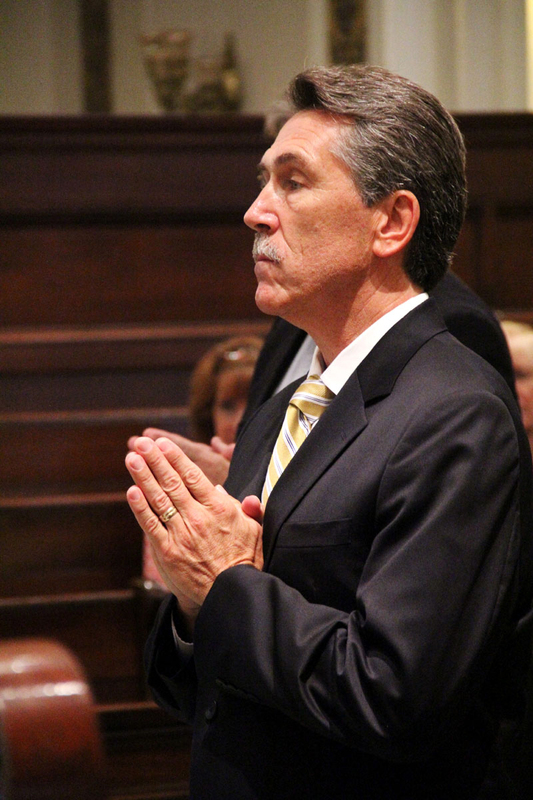 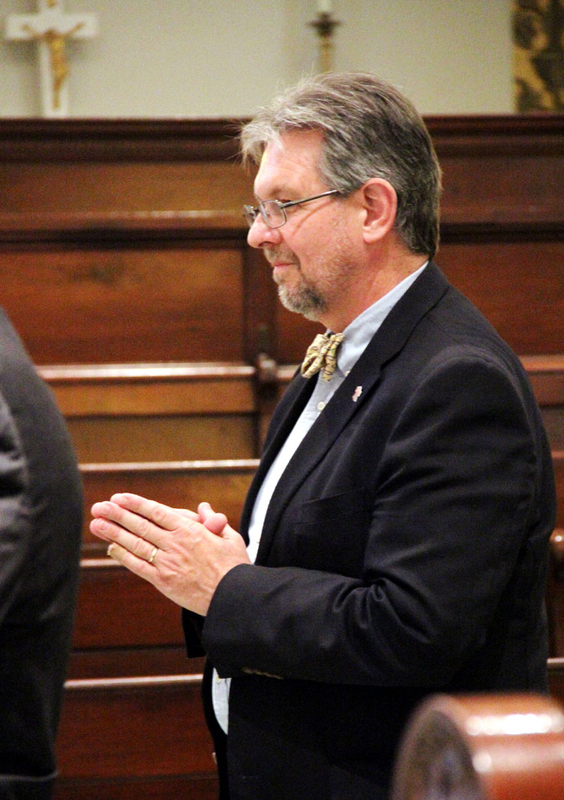 The candidates, who will continue studies toward eventual ordination as deacons in the church, included Joseph P. Boyle, Gerald J. Cassidy, Henry C. Fila, Franz N. Fruehwald, Matthew A. Horvath, Gregg W. Hoyer, James V. Nash, Diep T. Nguyen, Mark D. Nowakowski, Paul F. Stoyell-Mulholland and Thomas N. Verna. 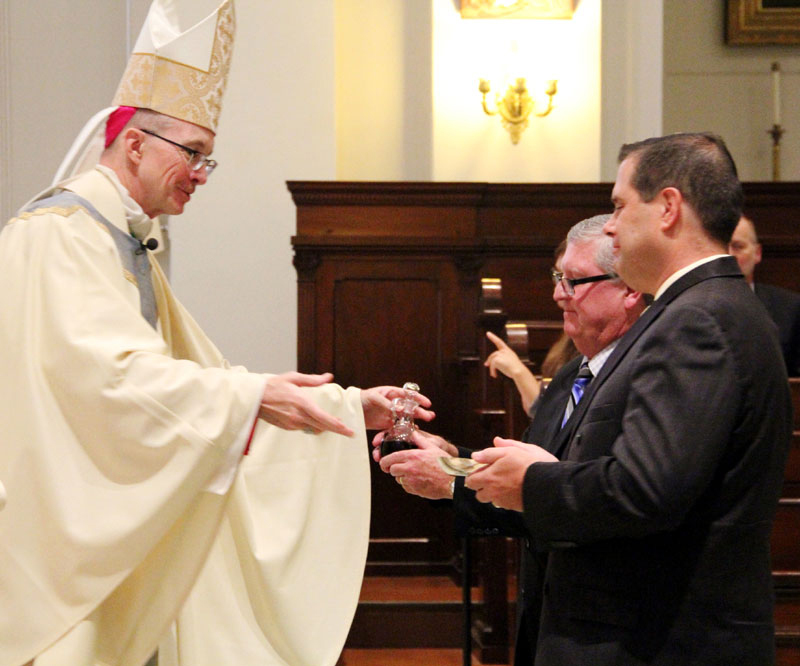 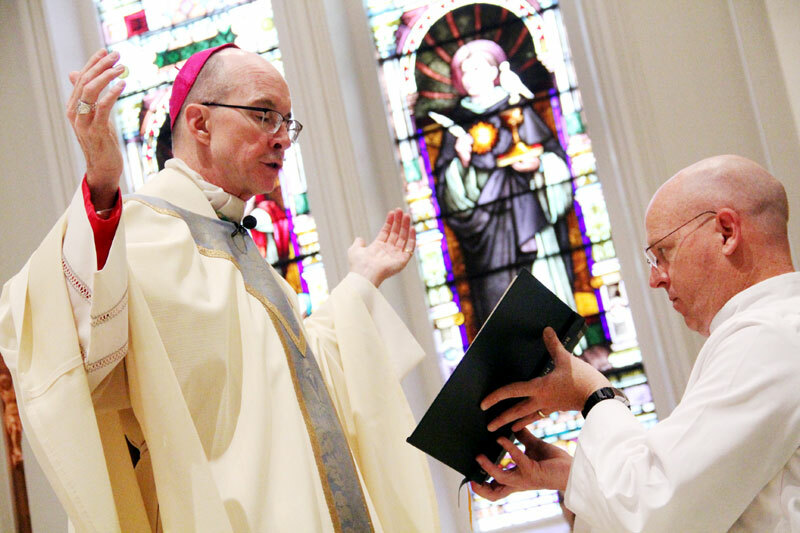 Gerald J. Cassidy and Joseph P. Boyle present the offertory gifts to Bishop Timothy Senior.